Luxury living isn’t just about having a beautiful home, although that’s certainly part of it. It’s about a certain lifestyle – one that’s built around your needs, wants, and desires. In today’s world, modern technology and creative textiles allow you to customize your home in ways like never before. It’s no secret that the kitchen is the heart of a home. After all, this is where memories are made, dinners are eaten, and important conversations are held. For as long as people have loved their homes, they’ve loved their kitchens, but today’s luxury homes take this beloved space to brand new heights with chef-inspired spaces. Of course, luxury kitchens are usually characterized by open space and ample room to entertain. Earth-inspired hues have been on the rise in recent years, leaning away from drab off-whites. As 2017 marches on, earthy tones will continue to take on new life, spreading shades such as vibrant yellow-greens that look like spring or fiery oranges that represent fresh-picked produce. It’s all about grabbing attention, so expect vibrantly painted ceilings and accessories that accentuate these incredible colors. Walls may still hold traditional warm, neutral tones, but super saturated colors such as purples and blues will be found in textured accents around homes. Curtains, pillows, and even couches will boast of incredible pops of color in luxurious fabrics we haven’t seen popularized in years. People who live in apartments and small homes have long found creative ways to make the most of their living spaces. The idea of hidden storage secrets has begun to spill over, and people who own luxury homes are taking a cue from these creative design techniques. High-end designers are looking for ways to optimize minimalism by providing luxury homeowners with discrete spaces that allow them to store their essentials without impeding on their space. Creative nooks and intimate crannies are being built with the idea that less is more. Outdoor living has increasingly become an essential part of the whole experience of owning a luxury home, particularly in parts of the country where homeowners can enjoy their backyards all year long. Swimming pools have taken a backseat to true entertaining spaces where people can come together and enjoy their time outside. It’s no longer considered a taboo to mix metals. Once upon a time, silver and polished nickel could never play together; antiqued brass and oil-rubbed bronze could never be friends. With today’s look leaning toward interesting minimalism, two textures, which would otherwise never have come together, are welcomed aesthetics in high-end homes. People are looking to find an interesting synergy by bringing contradicting elements together to form a new face of home fashion. 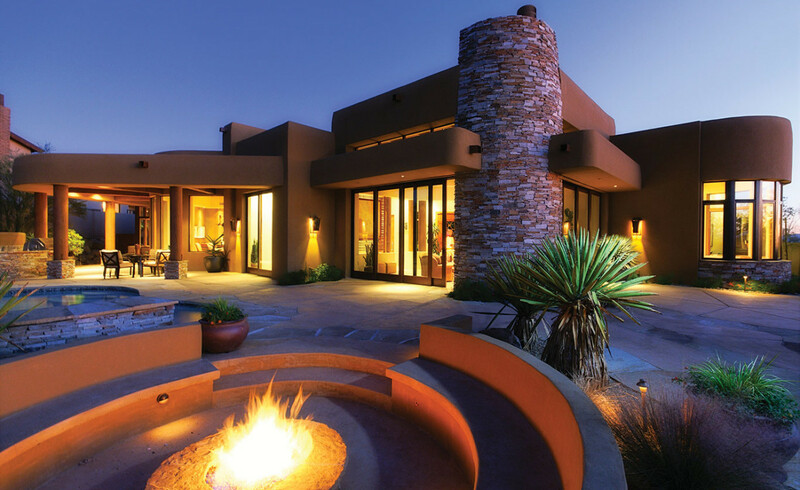 The Ritz-Carlton Residences, Dove Mountain are where chic and luxury homes meet stunning and breathtaking scenery. Come and see what it’s like to live in the best of both worlds. Request more information from our Dove Mountain team today.